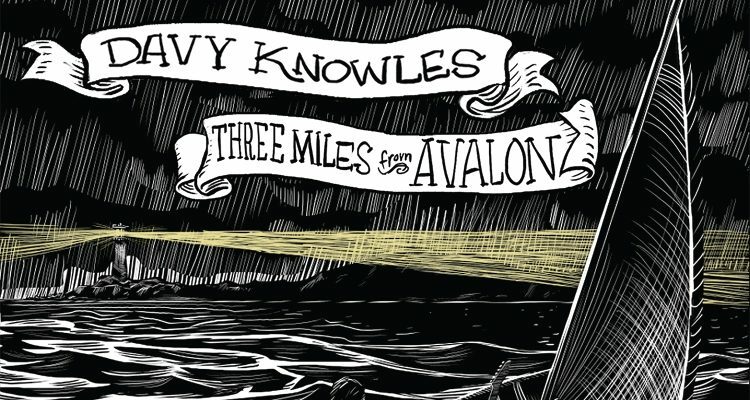 Davy Knowles’ new album, Three Miles From Avalon, which drops this Friday, October 14th is well worth the two-year wait. Originally hailing from the Isle of Man in the UK, Davy KnowlesÂ now calls Chicago his home. 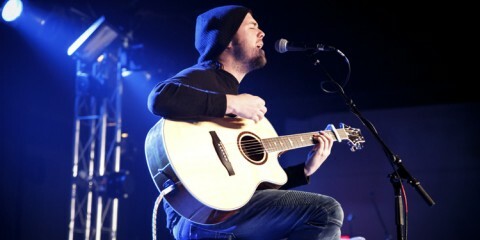 He maintains a hectic touring schedule which takes him all across the US and Europe. It has to be said that as Knowles progresses in years (although he is still only 29), you can hear the life experience and time on the road bleeding into his songwriting. Knowles is also an avid record collector, something that exposes him to many styles and genres. Whilst you can still hear the influence of his idols Rory Gallagher in his playing and Mark Knopfler in his writing, his storytelling shows diverse elements of gospel and country in many of the tracks on Three Miles From Avalon. As a result, this feels like Davy’s most rounded and accomplished album to date. During National Rock Review’s interview with Davy in July, he talked at length about the decision to go “back to basics” for this album. 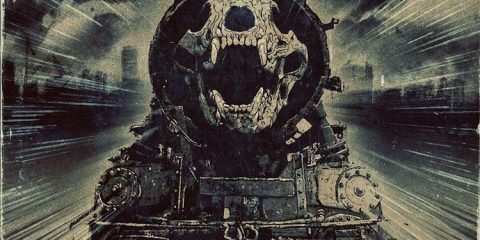 The album was recorded live to tape giving it a raw live-band feel, perfect for upbeat blues/rock foot-stompers to dark, moody numbers. “Ain’t Much of Nothin'” and “What You’re Made Of” open the album. Both are upbeat blues-rock tracks, guaranteed to get audiences moving and singing along. Indeed, in recent live shows, Davy has often opened up with “Ain’t Much of Nothin'” to great effect. One thing that stands out in the opening track is the musicianship and production value of the record. The mix is excellent, with Davy’s vocals and guitar front and center, and the rhythm section sitting nicely behind driving the tracks along. Andrew Toombs’ organ adds an extra dimension to many of the tracks and sits well in the mix, offering a good counterpoint to some of Davy’s rhythm and lead playing. Davy’s vocals are strong on the album; his gravely tone conveys genuine feeling and deep emotion. 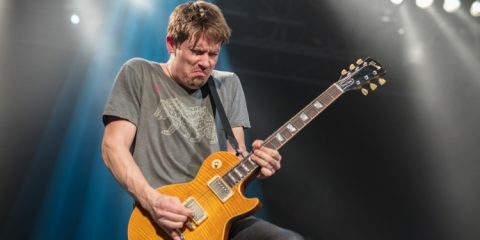 For guitar, he primarily used his Telecaster straight into his Bludotone Amp with minimal use of effects resulting in a velvety blues guitar tone that is always just on the edge of breaking up. 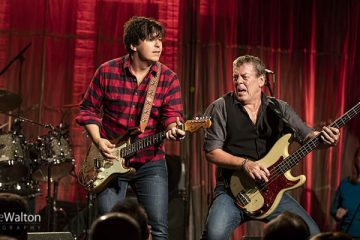 Some of the best guitar work on the album comes on “Falling Apart.” The track is a classic slow blues number, which conjures up pictures of people listening at dimly lit tables in a smoky bar. Davy’s solo on this song is phenomenal, building from a slow brooding start to aggressive, lightning fast runs. It is a rare skill to be able to play with such fire, speed, and intensity over a classic blues track and make it sound both musical and tasteful. It is, however, a skill that Knowles clearly possesses in abundance. “Never Gonna Be The Same” brings the tempo back up with a great opening riff/hook and “Gov’t Row,” a real foot stomper with a great guitar solo, steps things up another notch. “Oxford, MS” is a standoutÂ track. The lyrics tell the story of a man involved in the shady criminal underworld. Opening with just Davy’s vocal accompanied by fantastic female backup vocals, the track builds slowly to include the entire band. It’s a song that you’ll be humming and singing for days and weeks after you first hear it. 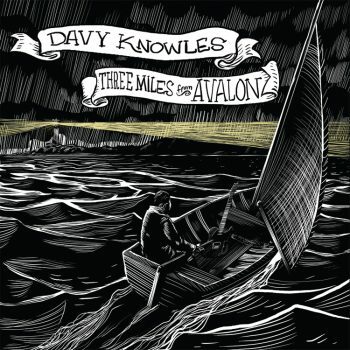 The title track, “Three Miles From Avalon,” speaks of being tantalizingly close to what you want. Whilst Davy tells many stories in his lyrics, you can’t help feel this number is autobiographical, charting his ups and downs in the music industry with Avalon being that elusive ‘something’ all musicians strive to reach. The 12-minute cover of Willie Dixon’s “What In The World” is a fitting way to close the album with the band dragging every last ounce of emotion from the track. Props also have to go Andrew Toombs for his superb work on the organ which plays nicely against some soulful guitar work from Knowles on this track. 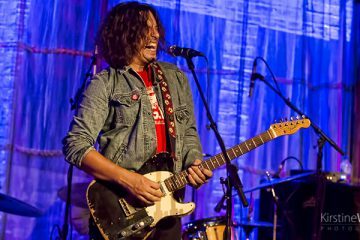 Davy Knowles is an artist who clearly loves the history and craft of not just the blues, but of all music;Â check out the documentary, Island Bound,Â or his immense vinyl collection if you want proof. As a result, whilst his songwriting is grounded in the blues, it is evolving. The end result will have you hooked, both on the music and his vivid storytelling in Three Miles from Avalon. His band excels in the pressure-driven â€˜live to tape’ recording process, providing a superb platform for Davy to do his thing and he does it well, with vocals and guitar work right out of the top drawer. Indeed, if this record is anything to go by, Davy may be a lot closer to Avalon than he realizes and, given his proven talent, he certainly deserves to get there. You can buy Three Miles from Avalon on October 14 or preorder the record today.